Last year we brought the Google Assistant to your wrist, making it easy to find answers and get things done while you’re on the go. Today, we’re adding a few features that make getting help from the Google Assistant even more convenient on your watch. With smart suggestions from the Google Assistant, you’ll be able to choose from contextually relevant follow up questions or responses to continue the conversation. For example, when you ask about the weather, you can see the weather now and then tap on a suggestion to see the extended forecast for the weekend. Perfect for quick interactions when you’re on the go! Sometimes it’s easier to hear answers to your questions rather than read them. For example, if you’re listening to music on your way to work, try asking the Google Assistant to “tell me about my day.” You’ll hear some helpful information, like your commute times and upcoming agenda, from your watch speaker or Bluetooth headphones. A few months ago, we announced over 1 million Actions—things you can do—with the Google Assistant. 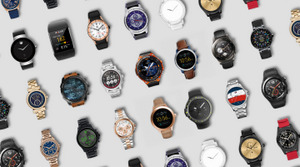 Today we're bringing Actions to all Wear OS by Google watches, so you can use your voice to preheat your LG oven while you’re unloading your groceries, ask Bay Trains when the next train is leaving, and more. Even better, we’re always working with developers and partners to add more Actions and functionalities. We’ll start rolling out these new features over the next several days, so look out for the updates on your Wear OS by Google watch. And if you’re a developer interested in building Actions that work with the Google Assistant on Wear OS by Google, tune into the live stream to check out our session at Google I/O on May 9 at 10:30 am PT.